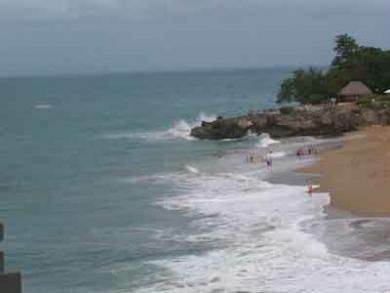 A luxury apartment with drop dead gorgeous views in a very exclusive condo complex in Sosua. Close enough to everything you need but away from the city noise, this unit is ideal for residency or rental and you really could do without a car. situated on a panoramic cliff view between two public beaches a quick walk away, the sunsets behind the mountains and over Sosua Bay are some of the most beautiful in the area. This is a gorgeous unit and the furniture is valued at 50K but included in this terrific price. ▪ •Everything you need is right here. •Jacuzzi / Spa ▪ •Prestigious area with downtown convenience, yet quiet and appealing.